Along ‘Gekkouji-tori’ (Gekkouji Street), you will see quite a lot of retrospective buildings and shops standing by. Some are quite the copy of those of the West but most of them are Japanese retro style which are different, have tips of Japanese-Western retro taste. 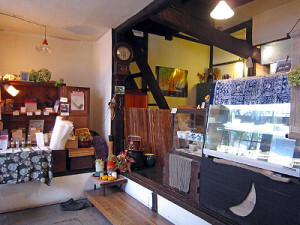 Among those stands an old Japanese retro building, ‘Café Gekko (meaning ‘moonlight cafe)’. 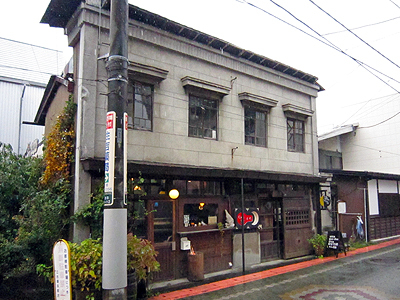 This two-story building of the Café was build in Taisho periodW (1912-1926) in Gifu prefectureW and was brought to this place in the beginning of Showa periodW. 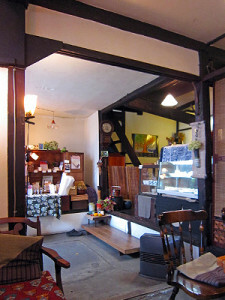 What is interesting about this café is not only the Western retro-looking outside but also the inside that is classical Japanese. 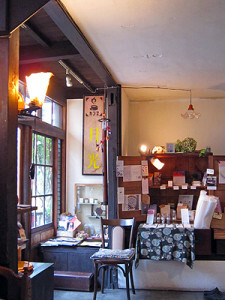 When you go inside the building, you would know that there are many aspects which resemble old Japanese houses, for instance, the window sills, pillars and stairs are those of what you see in totally classical Japanese houses but the walls, lights hanging from ceiling and furnishings are decorated in touches of what Taisho Japanese thought were ‘West’. This unique atmosphere of Japanese and Western classics mixed is the ‘Taisho Modern’ style, still attracting many fashionable Japanese today. 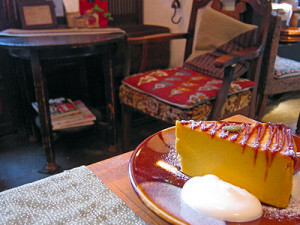 With such essence, the café gives you nostalgic feelings as though you are travelling Japan back in 1920’s. The coffee served here is organic and the water used is the spring water of Mt. Fuji. 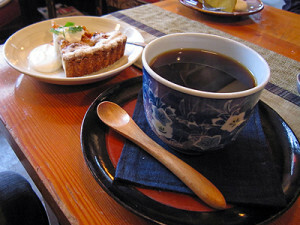 They are served in Japanese ceramics which should give you more images for you to enjoy Taisho period taste. Delicious and beautiful hand-made cakes are recommended, made with seasonal fruits. If you want a break after walking around the town, this place is great for you to relax.